2) Find the original church records that were used as the source of information for Aaron Day’s baptism, which was listed in the Vital Records of Ipswich, Massachusetts to the end of the Year 1849. All was not lost, however. I struck pay dirt big time on goal #2! Buried for several hours in the Ipswich, Massachusetts Archives, I was able to view the microfilmed church records for the First Church and the South Church. While not an original, these transcribed, hand-copied records are nearer to the original than the published vital records, which I highly suspected to be in error. Below is the entry for Aaron Day’s baptism in the published Ipswich Vital Records. As you can see, it states he was the son of John and Eunice Day. Microfilmed records from the South Church of Ipswich. Where did the published Vital Records obtain the name of Eunice as Aaron’s mother? We will probably never know, but it seems likely that a tired transcriber simply added the mother’s name, having completed data entry for other children of the earlier couple. 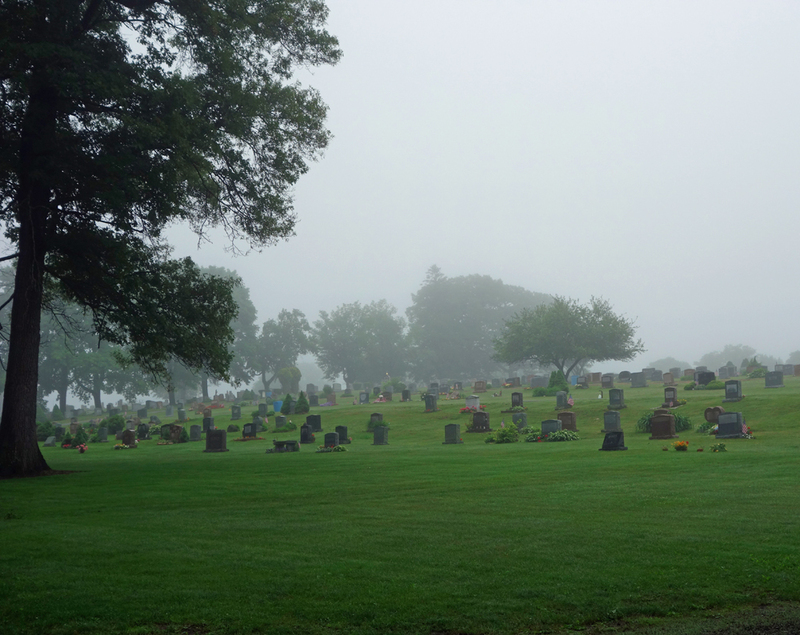 Unfortunately, as can be expected, multiple family trees published online and on paper erroneously list Aaron’s mother as the mysterious Eunice, wife of John Day. This exercise, however, underscores the importance of using original records, whenever possible. 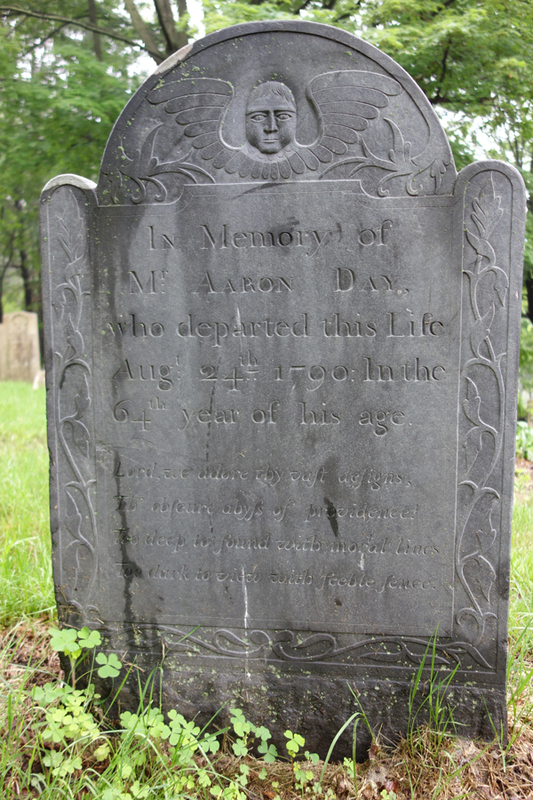 Headstone of Aaron Day who drowned in 1790. 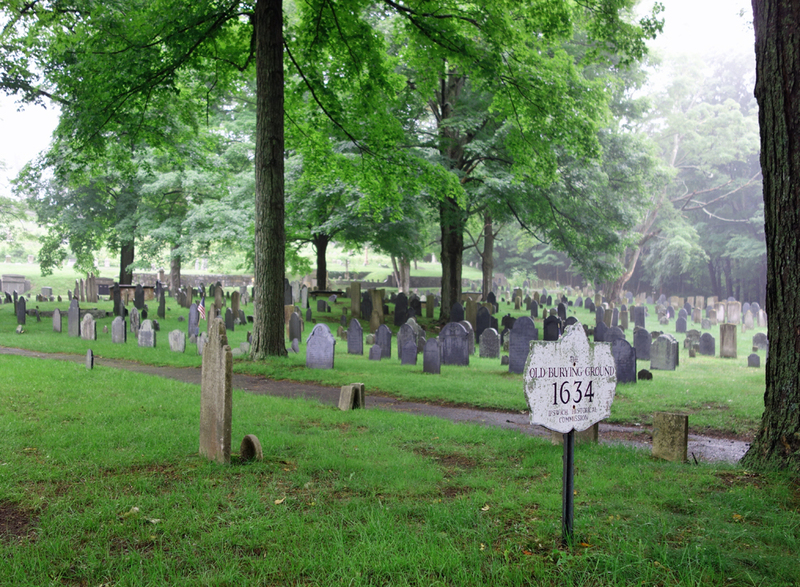 Highland Cemetery, the new section of the Old Burying Ground. This entry was posted on Saturday, June 14th, 2014 at 10:08 PM	and posted in Day, My Family Lines, Research Trips. You can follow any responses to this entry through the RSS 2.0 feed.